It has all left veterans of past border debates exasperated and frustrated. With the backing of President Barack Obama, a bipartisan group of eight senators that year succeeded in passing a comprehensive overhaul of the nation’s immigration system. But the legislation, which passed with 68 votes, prompted fierce opposition from conservative Republicans, who condemned it as amnesty for 11 million undocumented immigrants. It was never brought up for a vote in the House. Still, the Senate legislation was an indication of where the two parties could agree on border security. It doubled the number of Border Patrol agents, from 19,000 to almost 40,000, an increase that even the authors of the proposal agreed was overkill but was designed mostly as an enticement to win Republican support. Senators from both parties also agreed on money for technological improvements along the border. 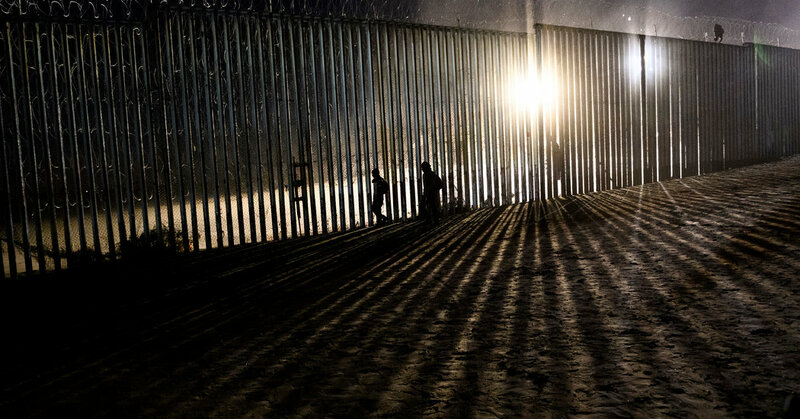 The bill allocated $3.2 billion for drones, infrared ground sensors and long-range thermal imaging cameras to give Border Patrol agents advance notice when migrants cross illegally, especially at night. It also included money for an electronic employment verification system for all employers and upgrades at airports to catch immigrants who overstay their visas. And the consensus included some physical barriers — what Mr. Trump might call walls and others would call fencing. Years earlier, the Secure Fence Act of 2006 allocated money to build about 650 miles of barriers along the border. The 2013 bill, had it been signed into law, would have increased that total to almost 700 miles, mostly along the eastern half of the border with Mexico. Almost all of the fencing that Congress has approved has already been built. In populated areas, the fence is tall and steel or chain-link and designed to keep people out. In other places, the barrier is nothing more than short, metal poles spaced out to keep vehicles from driving through, or low, wooden fences that run alongside pedestrian paths.